This is a guest post, by Cllr Rabina Khan, formerly of Tower Hamlets First and now an independent candidate for Tower Hamlets Mayor. The first thing I will do if elected as Mayor of Tower Hamlets is sit down with the Department for Communities and Local Government’s Commissioners. While this council continues to be recognised nationally as a high performing authority leading in many key policy areas, last year’s report by PriceWaterhouse Coopers identified governance failures in certain areas and addressing these must be our first priority – along with restoring confidence in our institutions and processes – so that we can move beyond recent challenges to best protect local people facing a wide range of adversities in difficult times. I want to be a mayor for women, a mayor for housing and a mayor who stands up against austerity. Women need more role models in public life. Of the seventeen directly elected mayors in Britain, only four are women. I hope that I can be part of breaking that evident glass ceiling, following the recent influx of record numbers of women to Parliament and an election which for the first time saw female party leaders – Nicola Sturgeon, Natalie Bennett and Leanne Wood – take the stage and arguably totally transform the debate. Every study has shown that austerity, and before it the recession, have hit women harder than men. Women’s unemployment, and particularly BME women’s unemployment, is a serious concern. That’s why I’m pledging to establish a brand new Women’s Employment Hub to ensure local women are presented with job opportunities and are equipped with the skills needed for the workplace. Under my leadership as cabinet member for housing for the last five years, Tower Hamlets has seen more than 4000 social and affordable homes built – more than any other council in Britain as recognised by central government repeatedly awarding us the highest ‘New Homes Bonus’. We’ve established the landmark Preventing Homelessness Fund, refused to pass on cuts in council tax benefit and said no to Bedroom Tax evictions. But the housing waiting list continues to grow, so I’ve drawn up detailed plans to build 5,500 affordable homes by 2018. Tenants know I’m someone who has always been on their side – and I’ll hold social landlords to account to make sure they promote real tenant leadership and decision-making. I’m also promising a better deal for Leaseholders – capping punitive charges and making our system fairer. Over the last four years Tower Hamlets has blazed a trail on behalf of local people, fighting austerity and latent child poverty that continues to blight the East End. We’ve restored education maintenance allowances scrapped by central government, introduced universal free school meals in primary schools and introduced university grants to ensure that poverty cannot be a barrier to achievement. We were the first council to pay workers the London Living Wage. Now I’m campaigning for a Living Rent. My brand new Mayor’s Employment Board and enterprise strategy will deliver 20,000 sustainable jobs and training opportunities, along with 8,000 new apprenticeships. As a working mum I understand what a juggling exercise life can be, so we’ll provide more nursery places to help parents into work. I’ll also abolish charges for bulk-waste collection. Some have tried to make this election about the recent court judgment. Former mayor, Lutfur Rahman has made clear his intention to appeal. But that is his battle and this is mine. This election cannot be about the past, when the future presents such stark challenges to the poor and the vulnerable. We need to start a fresh chapter in our politics, opening up local democracy and leaving no-one outside. My People’s Question Time events across the borough will enable local people directly to hold me to account, along with key officials from the council and – I hope – partner organisations such as the police and the health service. I’ll extend filming to all council committees, answer questions in full council, cabinet and the scrutiny committee. I’ll hold a regular press briefings. There will be no mayoral car. Grants will be determined in an open and transparent manner. I’ll review the council’s relationship with Rich Mix, and launch a brand new culture strategy to engage with all the rich spectrum of culture and talent throughout the East End. And anyone who knows me will tell you I’m my own woman. The general election has returned a reactionary Conservative government hellbent on rolling back the state no matter the human consequences. At the same time we have a Labour Party bashing immigrants and backing the lowering of the benefit cap as its leadership candidates compete to see who can lurch most to the right. Even locally John Biggs has refused to guarantee lifeline policies such as the EMA. This area needs a mayor who can be relied upon to be on local people’s side. I hope you will put your trust in me to be that mayor. Just why is Lutfur spending thousands on legal fees pursuing the Rich Mix arts complex? Apologies for the lack of posts: I’ve been settling into a new job. It’s full council tomorrow night and it’s likely that the two commissioners, Sir Ken Knight and Max Caller will be there for a bit of midweek comedy. I’m sure everyone will try to be on their best behaviour but at some point councillors are bound to visit the playground. One subject which might provoke a reaction is Rich Mix, which is based in what traditionalists call Bethnal Green but which is increasingly known (incorrectly) as Shoreditch. Rich Mix opened as a £26m arts and cinema centre in 2006 with a specific remit to tap into artistic interests in the Bengali community. From memory, I think it launched with a working display by an artist from Dhaka who was assembling an old car in full view of the public. Art can be a bit like that..
Rich Mix relied on various strands of public funding, including from Tower Hamlets council and the Arts Council. It was very much a Labour project, driven by the likes of Oona King, Michael Keith and Denise Jones…and a certain Mayor of London Ken Livingstone. One of the early board members in fact was a certain Lutfur Rahman when he was cabinet member for culture under Denise. I don’t remember and I can’t find any record of him ever opposing or being critical of the project back then. I did. The place was a management disaster in its early days. Its business plan was flimsy and it had bosses who loved spending other people’s money. In fact Rich Mix was the subject of one of my early posts on this blog in 2010 when I quoted an article I’d written for the East London Advertiser in January 2006 about the initial teething problems. It’s worth reading that piece from nine years ago again because it provides some background for a row that I think will feature tomorrow. SERIOUS concerns have been raised about the financial viability of a major new national arts centre that is due to open in the East End later this year. The Advertiser has obtained a secret report revealing that the Rich Mix Cultural Centre, which is being built in Bethnal Green Road, needs extra taxpayers’ help to meet soaring costs. Tower Hamlets councillors have been asked to top up loans to the project and some are now deeply worried the borough’s £3.5m investment in the £26m centre is at risk. They are angry that costs have spiralled and are concerned more money is being sucked into what could become a huge white elephant draining the public purse for years to come. One councillor has branded the project ‘scandalous’ and a ‘bottomless pit with no proper business plan’. But his claims have been angrily rejected by the centre’s bosses. The prestigious arts complex, whose board members include former Bethnal Green and Bow MP Oona King, is seen as crucial for the regeneration of the deprived area around Brick Lane. Concentrating on ethnic cultural projects, it will house BBC London, a three-screen cinema, art galleries, a Sunday market place and music and dance studios. Ms King dubbed it the East End’s ‘very own Tate Modern’ and it is Mayor Ken Livingstone’s flagship arts project. With most of the six-storey structure completed, designers are currently working on the internal fittings with the centre due to open in the spring. However, the project, run by the Rich Mix Cultural Foundation and funded by backers including Tower Hamlets council, the Arts Council, the London Development Agency and the Millennium Commission, has been dogged by delays and cash problems. A new management team was put in place last year and since then cost controls have improved markedly, but some councillors still fear a future financial crisis. It is expected that by the time the centre opens, Tower Hamlets taxpayers will have paid into it some £3.6m. The council has also pledged a further £300,000 to contribute towards the annual £4.6m running costs in the first three years of operation. Bosses at the centre are currently trying to attract sponsors but if crucial income from the centre’s cinemas fails to materialise, a council loan of £850,000 could be at risk. In a confidential report for last week’s council cabinet meeting, Chris Holme, head of resources, wrote: “It will take robust cost and income management to prevent the centre falling into deficit on an annual basis. I’ve changed my mind about Rich Mix. I suppose it was inevitable that such a politically driven project would become a political football but there does seem to be something spiteful and illogical in the way that Lutfur’s administration appears to be hounding the organisation to a point where closure is a real risk. For the past four years, the council has been pursuing legal action (at an undisclosed cost: maybe we’ll be told tomorrow night how much) to try and force Rich Mix to repay that initial £850,000 loan. In that legal process Rich Mix argued it was in fact owed another £1.6million by the council as part of an agreed s106 planning gain fee from a nearby development. The parties went to court and a judge ruled partly in favour of the council late last year on what some might say was a technicality. Because the wording of the s106 agreement deal was so vague, it was unenforceable. The upshot is that Rich Mix has offered to repay the £850k in instalments. For whatever reason, Lutfur has demanded it be repaid in one go. The East End Review, an offshoot of the Hackney Citizen, wrote a decent piece about the issue here. That article was based on an interview with Rich Mix’s chief executive Jane Earl. Jane is a former chief executive of Wokingham Borough Council who has strong views on good governance. 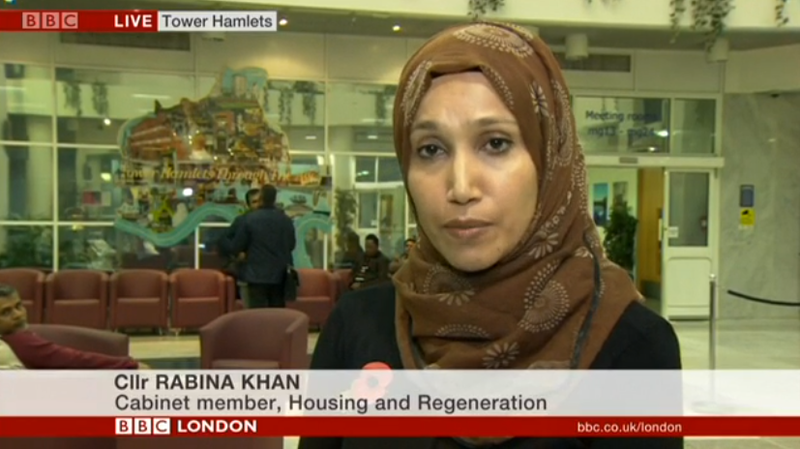 She’s the reason I’ve changed my mind about Rich Mix (and I’d have her as one of the Tower Hamlets commissioners). She’s made Rich Mix sensible, popular and relevant. The area has changed massively and maybe this part of the problem. As I said, it’s no longer regarded as the old Bethnal Green; this is now hipster country and it will eventually spread into the southern stretches of Brick Lane. Maybe it’s better to embrace and accept than be a bunch of King Cnuts. 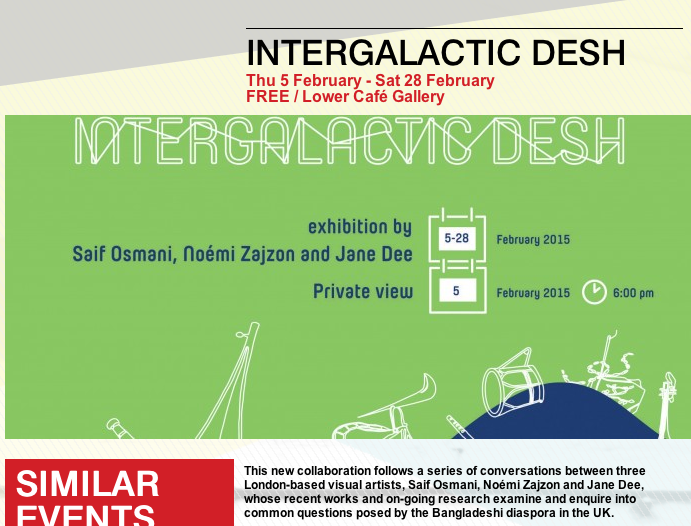 Here’s one event that’s worth seeing next month, for example. Or perhaps his “cabinet member for culture”, Cllr Shafiqul Haque (another former Rich Mix director when he served under Denise), should go. He’s paid an extra £13k a year on top of his £10k a year basic allowance for doing that job. But apart from pocketing his cash and posing in the odd photo looking at a book, I have absolutely no idea what he does or what he’s done. I can’t wait to see him explain that tomorrow. Culture? What culture? Is there actually a council culture strategy? Here’s a thought for the council: get Rich Mix to write one for the borough. I bet they could easily do it for £850k… .